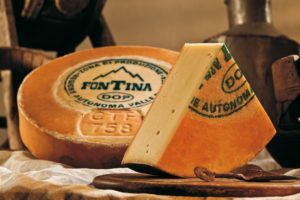 Fontina DOP is a classic Italian cheese made in the northern region of Valle d’Aosta since the 12th century. Traditionally made from unpasteurised milk of the Valdaostan Red Spotted cows the texture and flavour of Fontina depends on how long it has been aged. The texture can vary from semi-soft to firm and the flavours from mild and rich to more robust and overpowering, typically, Fontina DOP is aged for 90 days. Fontina can be served in many different ways, generally, in Northern Italy it is eaten alone or with a slice of white bread. 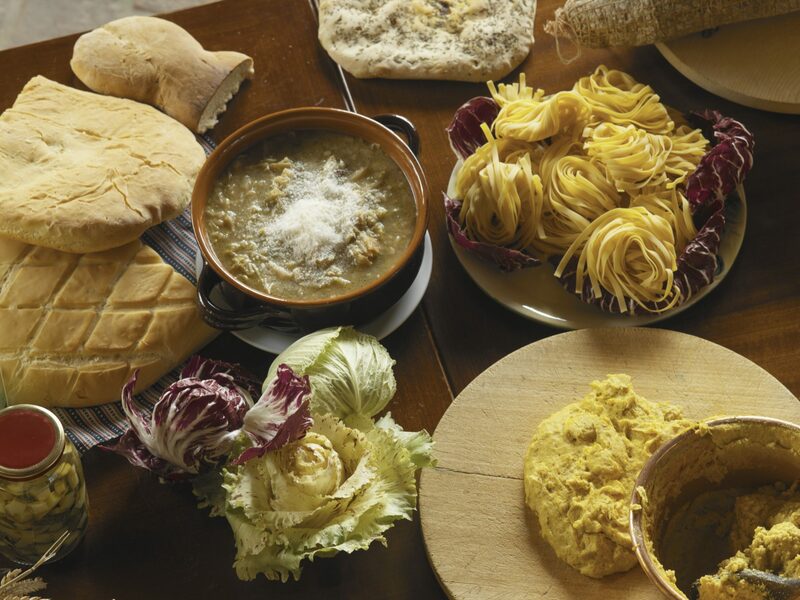 In Val d’Aosta, it is always mixed to polenta, one of the most famous dishes of Northern Italy. The ideal wine to pair with Fontina DOP is a delicate and light red wine, such as the local Valle d’Aosta Donnas DOC.